I still do NOT have internet in my apartment, and it looks like I won’t until Tuesday or Wednesday of next week. It’s starting to really annoy me! 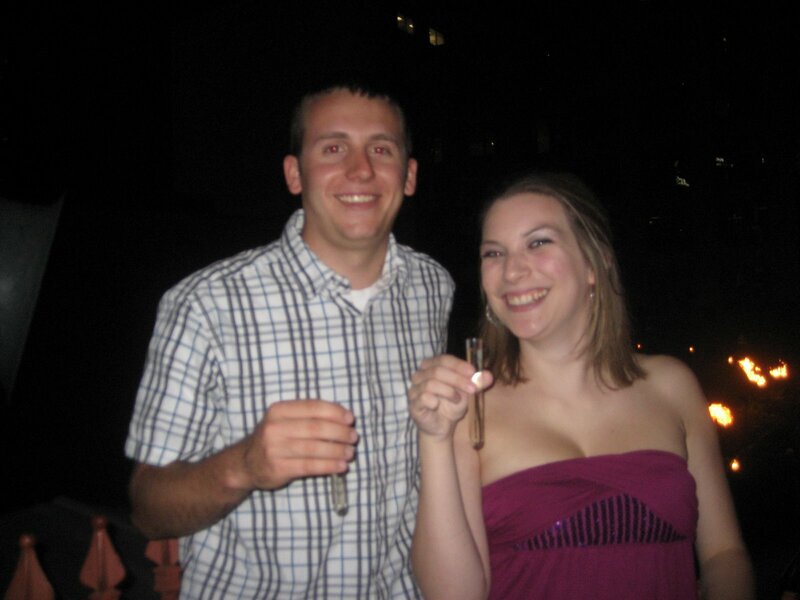 … and Meghann is celebrating her 25th on Monday! Twenty three is going to be a good year. I can feel it. The birthday girls headed out to Eden Bar for dinner. 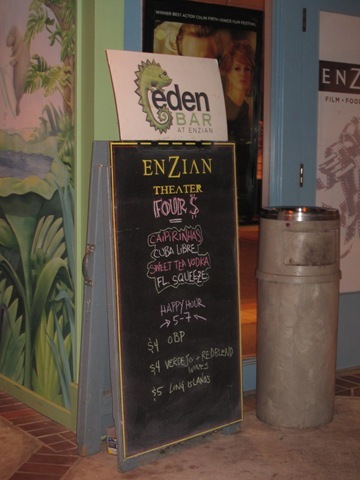 The Eden Bar is attached to the Enzian Theater, a local independent theater. 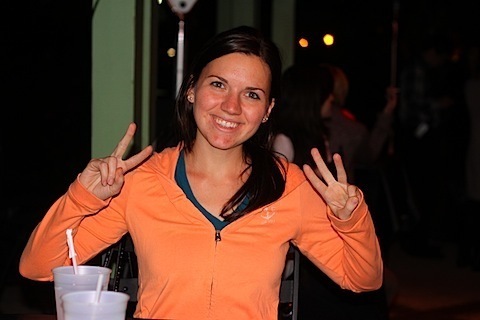 We sat out on the patio and enjoyed the relaxed atmosphere and great weather. We had our heart set on the Enzian Herbivore Burger (Organic brown rice and mushroom burger, roasted tomatoes, provolone, toasted kaiser) that we saw Ashley review on her blog. However, once we got there and looked over the menu, we decided to go for the real meat burger. It’s our birthday, we wanted to live a little. 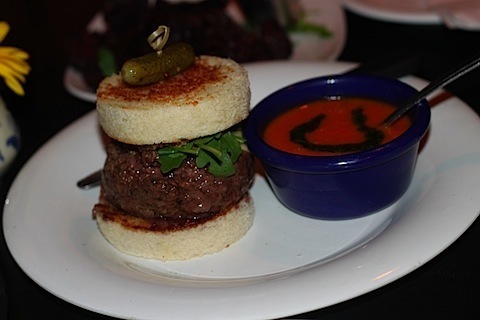 The Eden Burger (American 100% wagyu beef, 3 year aged cheddar, arugula, truffle mustard, Texas toast) came with a side of tomato soup with a balsamic vinegar. It was one of the tastiest burgers I have ever eaten! 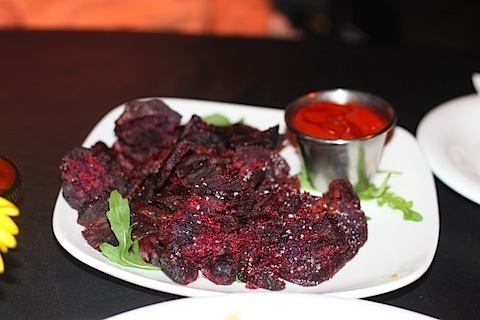 Meghann was super excited about ordering the Purple Tostones (Double-fried purple Okinawa sweet potatoes, spicy roasted garlic ketchup). We split the order, and debated ordering more. I could have easily eaten more, but we were saving room for dessert. 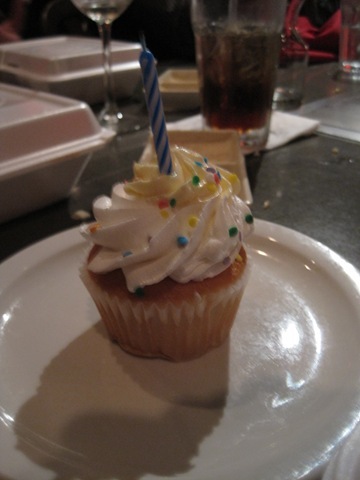 Since it was my birthday, the waiter offered us a free dessert! 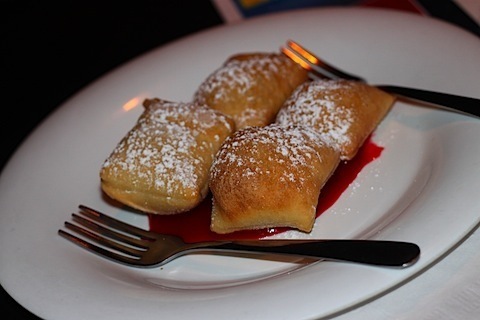 We decided on the raspberry beignets which basically tasted like fried dough with raspberry sauce. Yum! 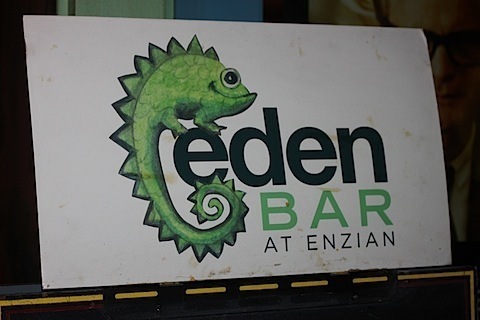 I was really impressed with the food at the Eden Bar. 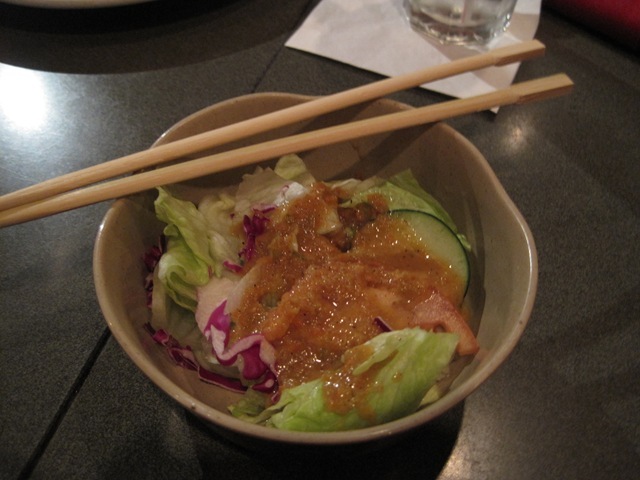 While the portions were a bit small, it was very flavorful. I can’t wait to go again! 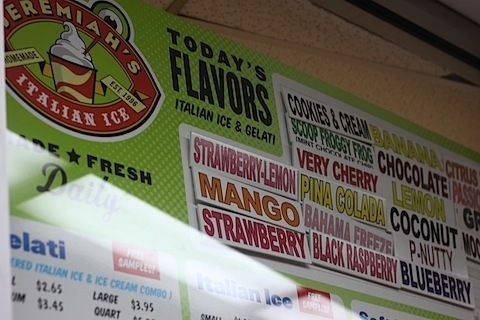 Jeremiah’s Italian Ice e-mails out coupons for a free small ice on your birthday. We decided to go ahead and get dessert round two. Why not!? 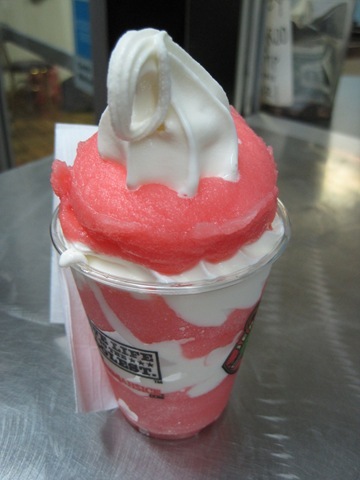 I typically go for a non-fruit flavor, but tonight I chose Strawberry-Lemon with vanilla gelati. It was a nice change! 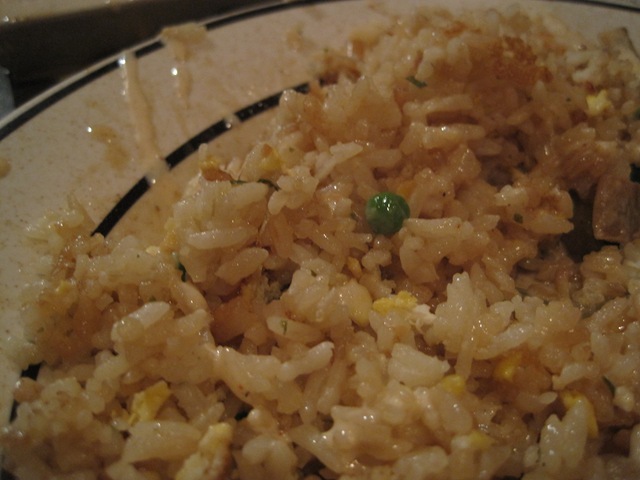 I could only fit half of it in my stomach, I was getting so full. 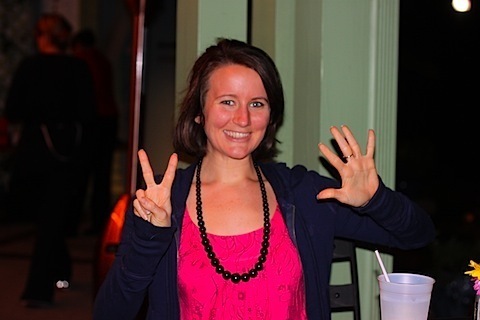 On Friday night, my birthday celebration continued! 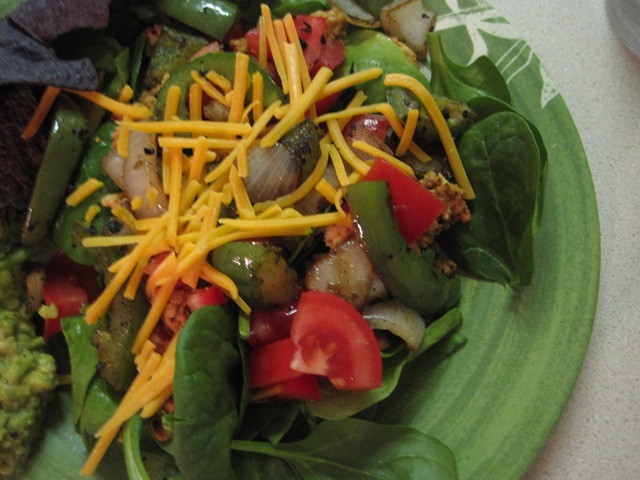 I made a delicious taco salad for dinner. 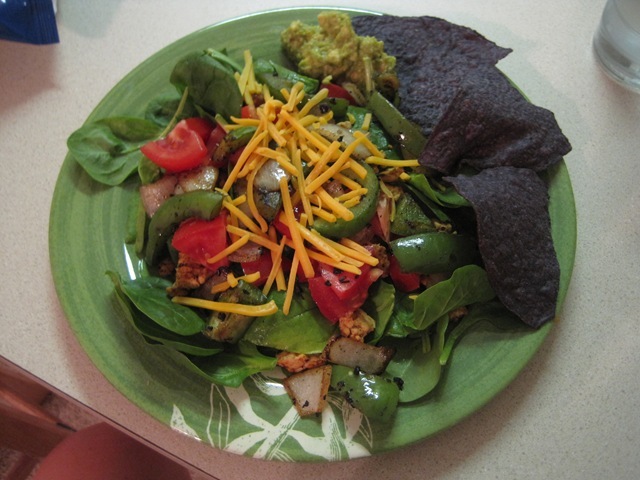 I was craving chipotle, and decided to try to make something healthier (and cheaper) at home. 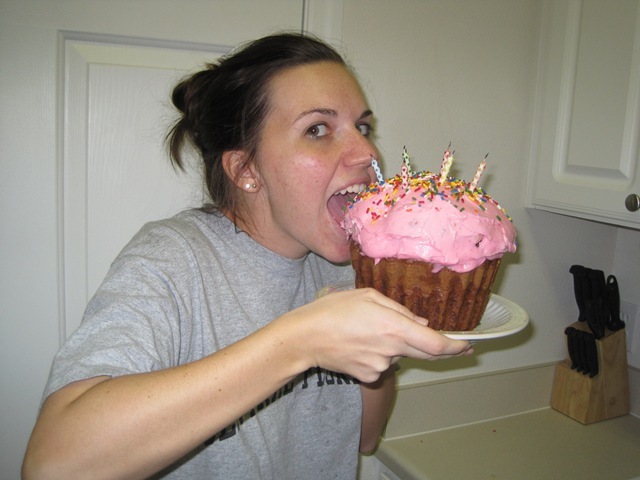 After dinner, I set to work on baking myself a giant birthday cupcake. It’s just not a birthday without cake! 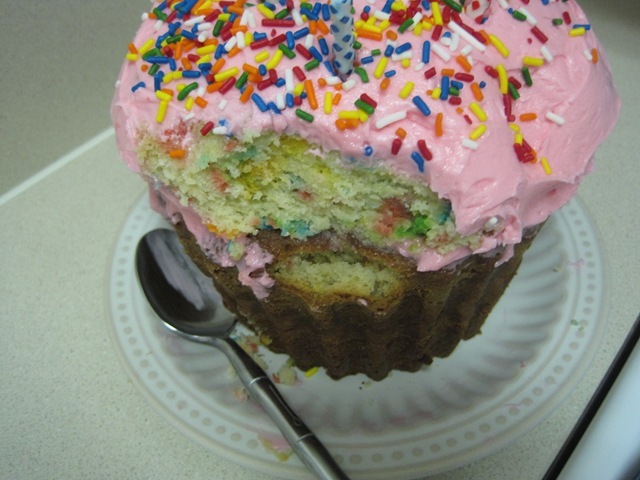 I used two boxes of funfetti cake mix, and homemade icing that I dyed pink. Funfetti is my favorite! I ate the whole cupcake!! Just kidding. I had a few bites and called it a night. It was mainly just fun to make and decorate it! My family is coming up to visit me this morning. I still haven’t decided what we are going to do today. We’re going to play it by ear. Jason’s little brother, Zach, turned 20 this weekend! 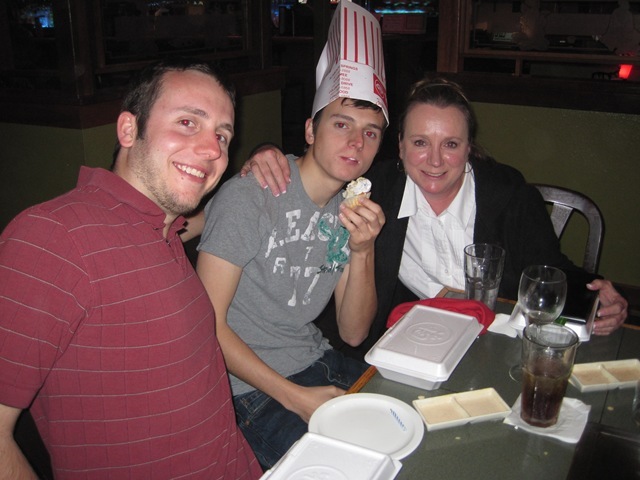 It’s their family tradition to go to Kobe Japanese Steakhouse for a birthday dinner celebration, and this year was no different. 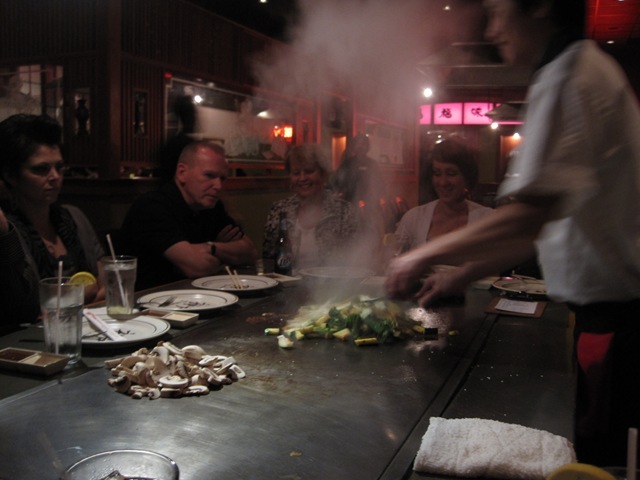 Kobe meals are teppanyaki style, so everything is cooked at the table right in front of you. The food is great, but I love the entertainment! 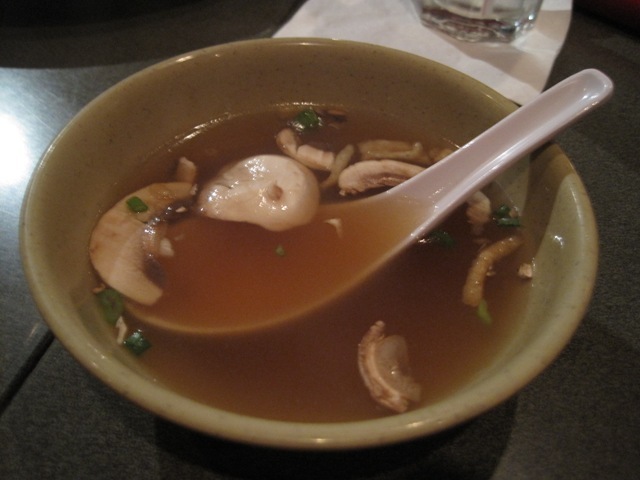 Every meal starts out with a cup of soup and a side ginger salad. While I ate my soup and salad, we watched the chef cut up all kinds of veggies, different meats, and cook noodles and rice. 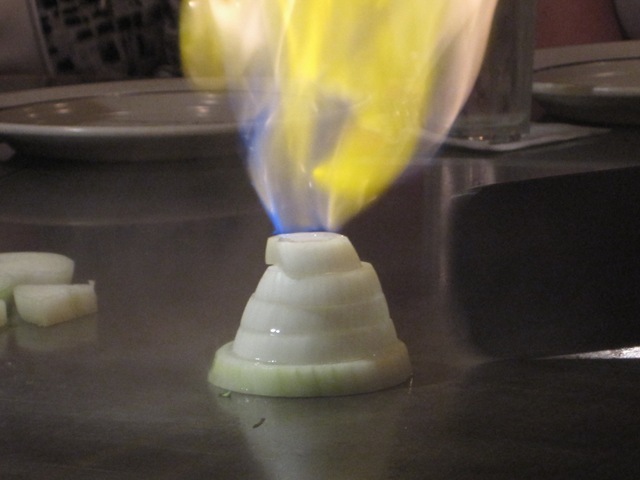 My favorite part of the evening was this onion volcano! Tell me that’s not cool. 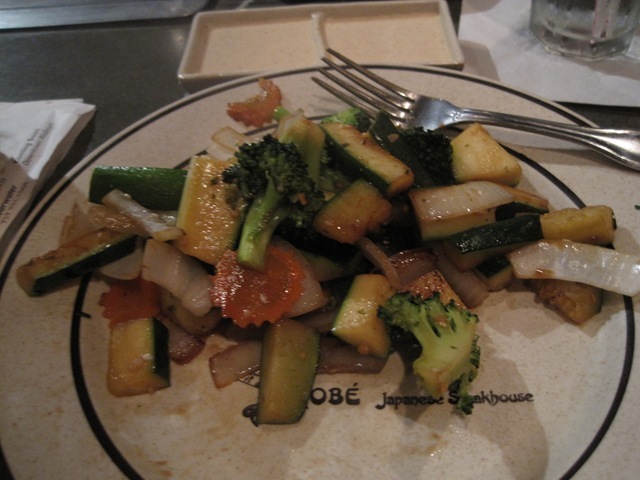 The first thing on my plate was veggies… I ate almost every single one! I kept joking that if I ate that one last little pea, I would pop! I was stuffed to the brim. The food was so good! 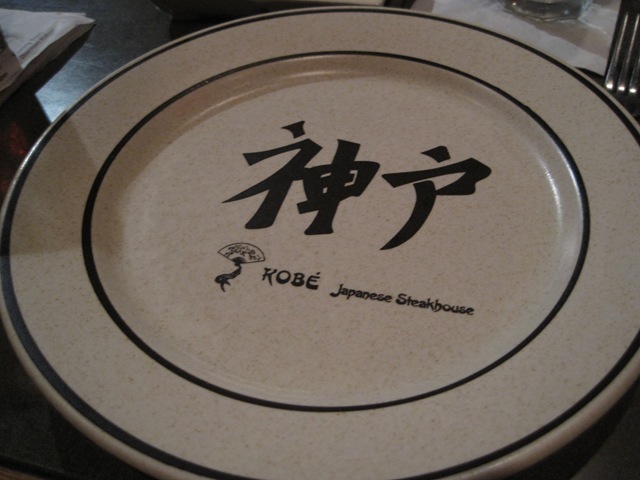 It was hard to tell how much I was really eating, however, since the plate kept being refilled. I had no concept of portion sizes, but I tried to eat about half of everything (except the veggies) and saved the rest for leftovers. 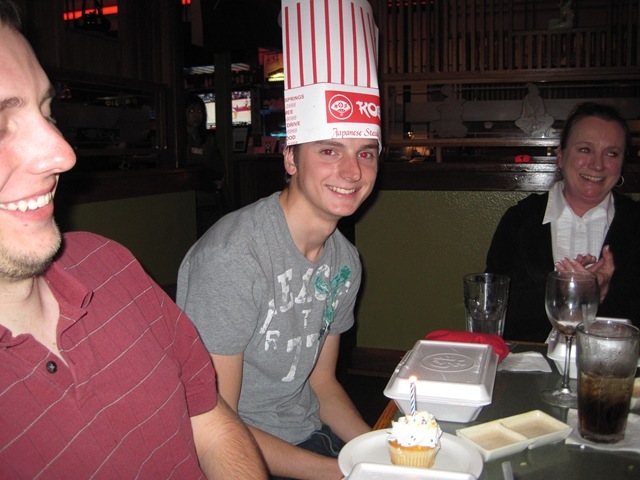 Zach thoroughly enjoyed his birthday dinner, and the staff brought him a hat and cupcake to celebrate! 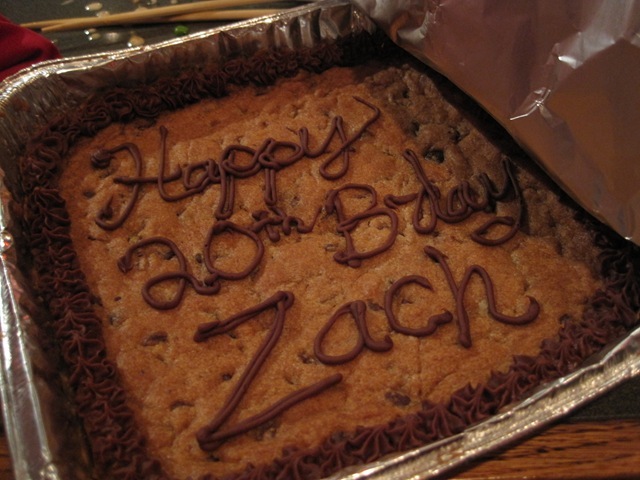 Earlier in the day, I made a cookie cake for Zach. It was basically a giant chocolate chip cookie with chocolate icing. I hope it turned out well… at least it was fun to make! 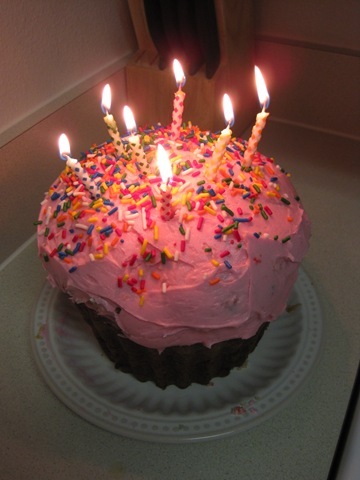 My birthday is in 10 days! I still have no idea what I want to do to celebrate. Tuesday: Much needed partment cleaning, brain dump (LOL), and filling the recycle bin to the brim with unwanted old school papers. Oh yes, and let’s not forget earning $14.25 by taking my unwanted old clothes to Platos’ closet. Taylor got a mere $2.10 bahaha… which we definately splurged on some Godiva Truffles at the mall. Wednesday: See above nonsense. Also… made a delicious graduation cake for Jason! I really love baking, but more importantly… cake decorating! I should post some of my past creations for you to enjoy. I’m proud of my skilllzzz. Thursday: Recovering from sush nonsense while trying to act composed for the out of town guests coming to watch the bf graduate. Friday: GRADUATION!!! YAYAYAYAY c.o. 2009. 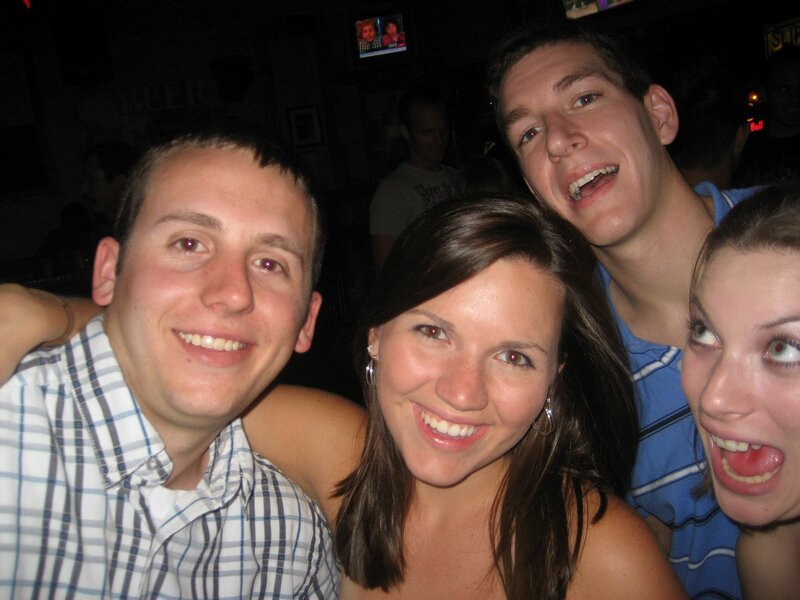 Jason and Taylor!!! 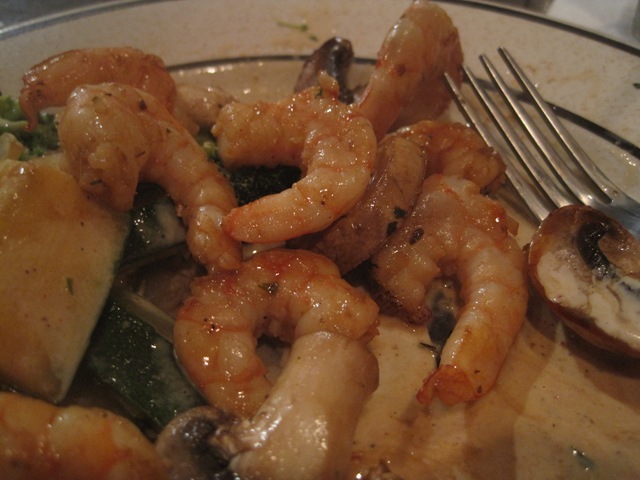 We went to this amazing Cameron Mitchell restaurant called Ocean Prime. 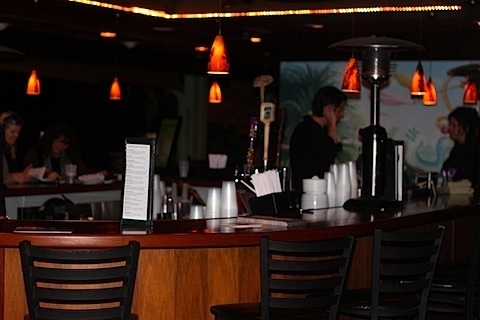 Jason got the cheese foundue and crab cakes, and I had the Black Grouper and Fork and knife salad. Delicious!! 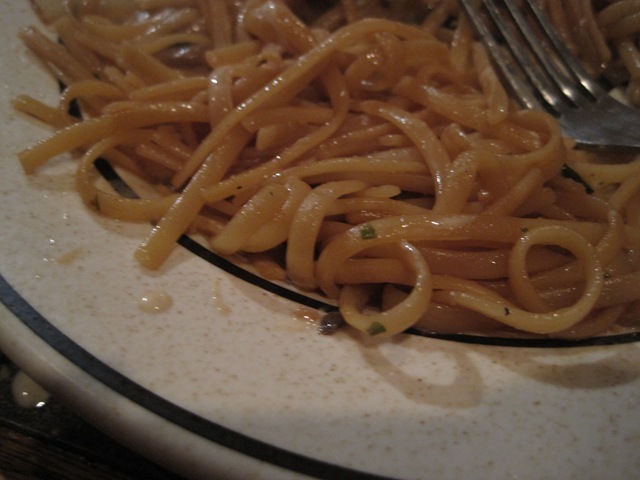 Heaven on a plate… I seriously could have sworn I heard Angels singing “HALLELUJAH!! !” in the background. I can add pics later when J downloads them from his fancy-pants camera. 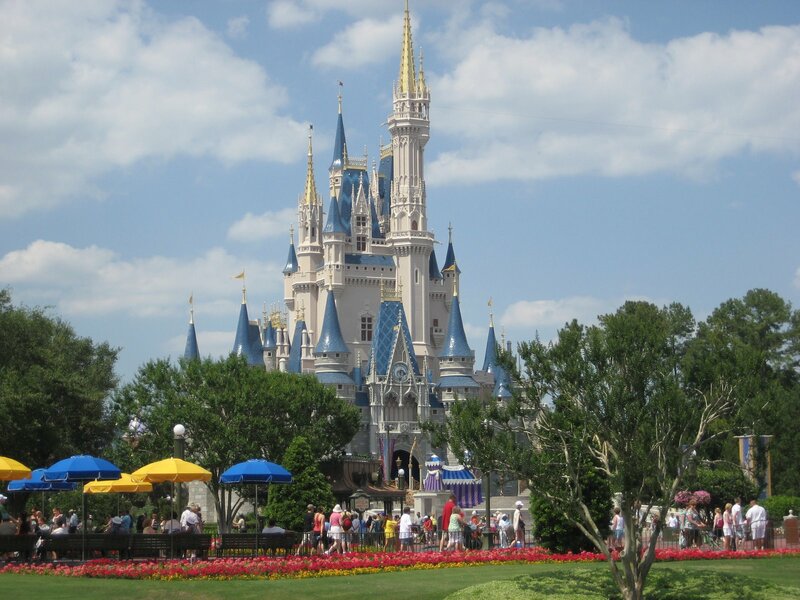 Today: Disney with J’s Family!!! 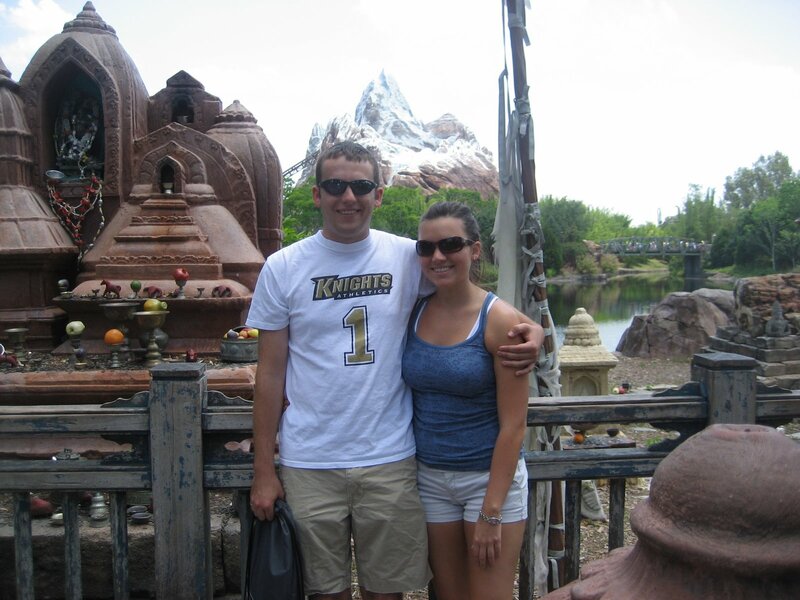 We started the day meeting Tay at Epcot to retrieve my camera, to Animal Kingdom, and then to MK. Definately drained me. Now off to run some errands with my Graduate! !